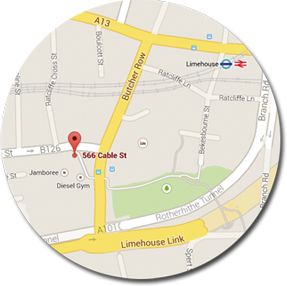 2 minutes walk from: Limehouse DLR Station. Please notice that it is not possible\allowed to come or access the studio without a reservation previously confirmed by email. After your reservation is confirmed you will be sent an email with the code for the door (please check your junk box or 'others' if you dont see it) if you still didnt find it please email jorgesplace@hotmail.com because you need the code to access the studio.